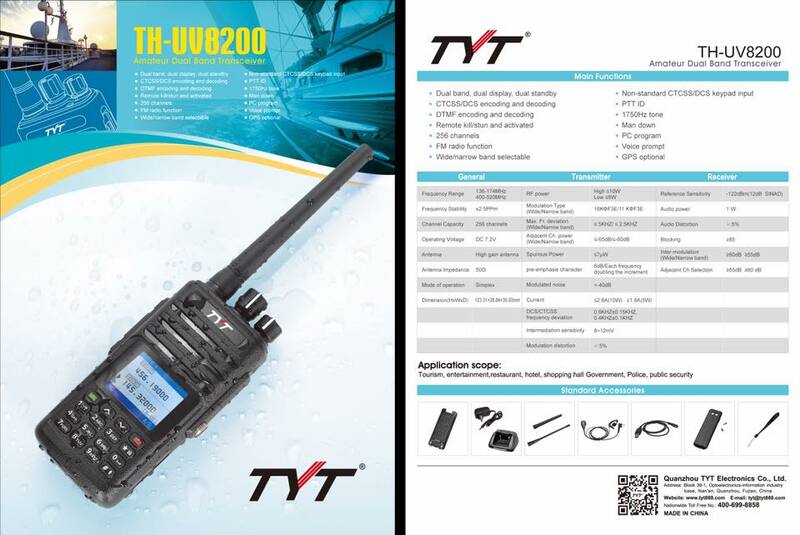 TYT Announced TH-UV8200 Analog HT. 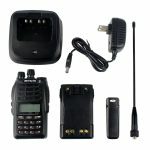 TYT announced today the release of the TH-UV8200 analog dual band 10W handheld radio. The radio features a color TFT display, 10W of power on high, 5W of power on low (no medium setting, once again) and IP67 waterproof/dustproof protection. 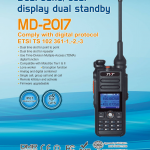 The body seems to be similar, if not identical, to the TYT MD-390 DMR radio. All other specifications are pretty much what we’ve used to, except for the 256 memory channel capacity (most analog handhelds from TYT come with 128 channels) and the optional offering of GPS. I suppose there is going to be a version with GPS included, but right now it is unclear of how it is going to be utilized and what its purpose is. I can only make assumptions for now, but nothing I can publish at this point. 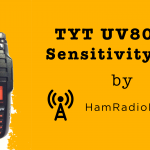 We got our dealer announcement on the TH-UV8200 this past Saturday, but I still haven’t received positive confirmation on a number of questions that I had for TYT. One is their claimed “waterproof” status. You’ll note that IP67 isn’t listed on their spec sheet. Many Chinese manufacturer’s market “splash resistant” as “waterproof”, so until I see one in my hands, well you probably know the rest. Another issue is actual battery size. Their other 10 watt analog radios (TH-UV8000D, 8000E, and 8000SE) all ship with a 3600 mAh battery. No mention (that I saw) as to battery capacity. Third is actual memories. Many times Chinese manufacturer’s count the ability to save either 128 VHF or 128 UHF memories as 256, when they actually only save 128 unique memories. For six months after the TH-UV8000D was announced, all of the boxes claimed 128*2 memories, yet they could only save 128 total memories. I hope the TH-UV8200 actually has 256 memories, but again, until I see one …. The last issue is actual availability. I’m still waiting on the rest of my pre-paid October order for the TH-8600 mobile units, so I’m not counting on seeing an actual TH-UV8200 for some time, but who knows, maybe I’ll see one at the TYT booth at IWCE this year. The brochure does not state IP67, however it was mentioned in their facebook page post. Anyway, if and when you get either of these radios, I would be happy to review them. Thanks! Chatted with TYT Sales earlier and managed to get some additional data from them regarding the TH-UV8200 radio. First, they confirmed their previous claim that the TH-UV8200 will be IP67 waterproof upon delivery. Second, they confirmed that the radio will have a total of 256 memories, but they couldn’t tell me if all 256 memories will be available in one VFO, or if they will be split up (like they did previously in the TH-UV8R radio with 128 memories in VFO A and another 128 in VFO B). 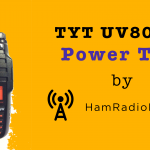 Third, the TH-UV8200 battery size will drop down to 2800 mAh, which is still better than most standard batteries, just not as huge of the 3600 mAh battery on the TH-UV8000 series of radios. 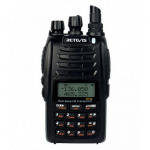 Fourth, they claim that our initial dealer order for the TH-UV8200 radios will ship “soon”, but I tend to take their shipping ETA’s now with a large dose of salt (still waiting for my TH-8600 IP67 mobile radios from October). Fifth, they have increased the alpha-numeric display naming from 7 characters to 8, which always helps us with customer programming requests. Sixth, the TH-UV8200 will NOT offer a cross-band repeat function, which is a shame since so many of our SAR customers use that feature. Got our first TH-UV8200 units in today. While the radios appear to be ready for production release, the lack of finished boxes and no manual included (in any of the boxes) seems to indicate TYT isn’t quite ready for production orders just yet. That said, the radios seem to be solidly built. If I find some extra time between now and Thursday morning (we leave for another show then), I’ll play with one on the bench if I can figure out how to unlock them (they don’t seem to use the same commands as other TYT models). Also finally received in our October 2016 order of the TH-8600 mobiles, so I’m not sure which radio will see the bench first. Picked up one of these unit from eBay recently and my initial impressions are favorable. Feels and operates similarly to my MD-380. Let me know if you’d like to hear more. Yes I am interested in this radio. Battery life? Sensitivity/selectivity? i have a problem with my handy uv8200 when i press my ptt the display showed caution “Killed” and could not transmit….please assist me. Looks like your radio was “killed” by a DTMF code transmitted from another radio. You need to transmit the “wakeup” code from another radio, on the last frequency it was tuned on when it was killed.